Volada is a small village about 10 km from Pigadia. It is located precisely between the villages of Aperi and Othos (2 km away from each). 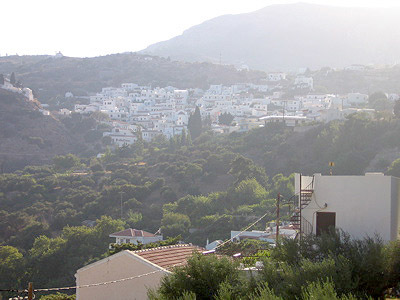 Volada is a beautiful village that is in constant competiton with Aperi over house esthetics. The village doesn't offer much to tourists in the restaurant or shopping sense. Its a nice drive-through village with little quirks like the 2 biggest gossipers of the village who sit in the bus stop booth and watch everyone go by. Please be careful when driving through this village. The streets are very narrow and there are traffic mirrors at each sharp turn, so keep your speed to a pace above a crawl and take your time.